Want to stand apart from the crowd this festive season? Then brocade is your answer. The woven fabric is richly designed with a sophisticated feel that can't be beat. 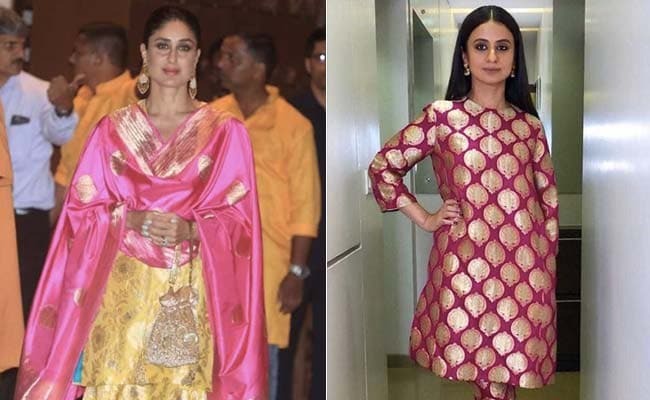 It's no wonder Bollywood stars like Kareena Kapoor, Rasika Dugal and many more; including Sanya Malhotra and Rani Mukherjee can't get enough of it. 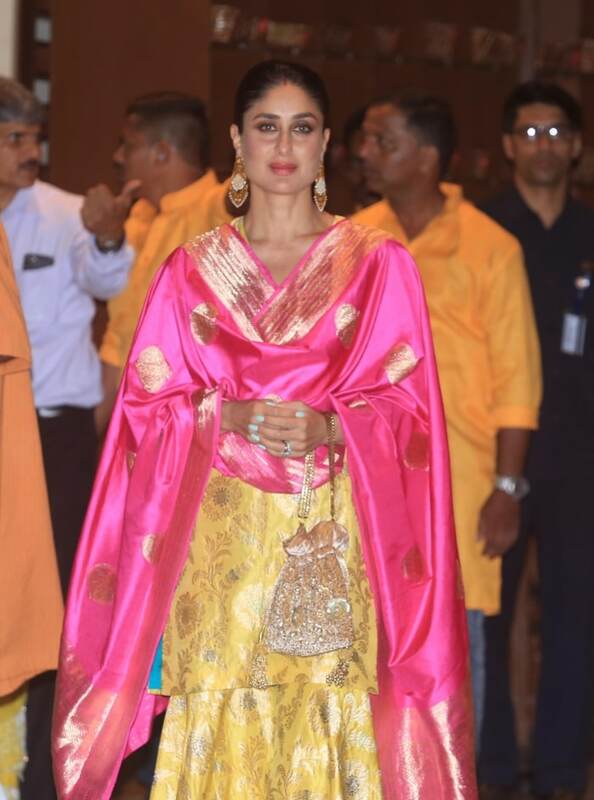 While Kareena wore a bright brocade suit in yellow and pink from Raw Mango for a celebrity function, Rasika donned a pink brocade Raw Mango ensemble for movie promotions. Both looks gave a chic ethnic flair in brocade and with these 3 pieces, so can you. 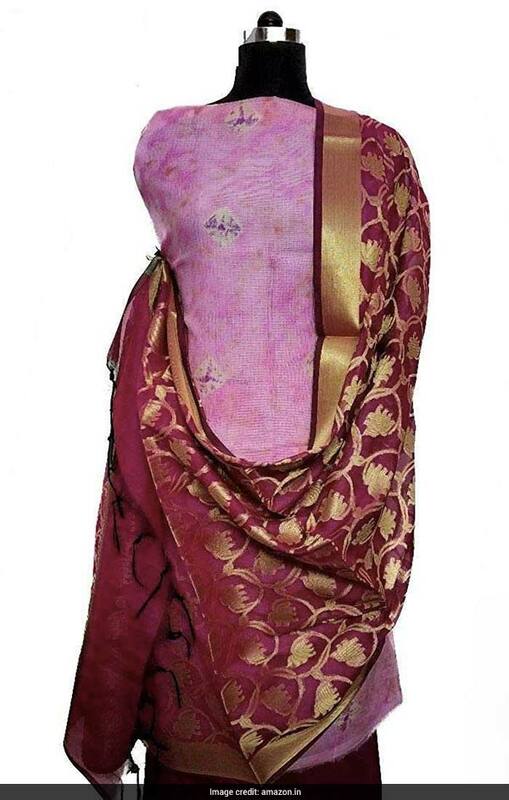 The HS Fashion Dupatta is made of heavy brocade, kota silk and cotton chanderi in a rich plum and gold designed piece. It is available for Rs 1392 from Rs 2175. Shop here. To give your sarees a desi twist, try the Studio Shringaar Blouse. In vibrant pink with gold patterns, the blouse is made of brocade and Georgette and is sure to breathe life into your ensemble. 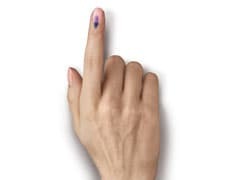 It is available for Rs 875 from Rs 1550. Shop here. 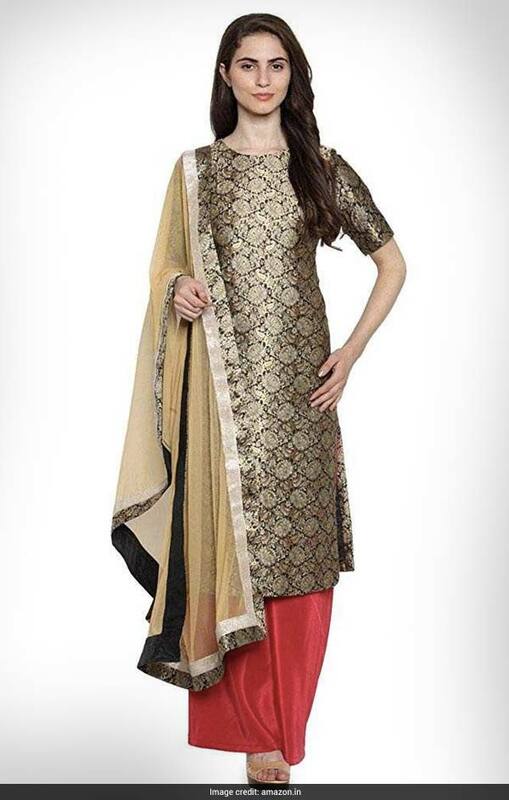 If you'd like to go for broke in brocade from head to toe, wear the De Beau Ethnic Suit. In festive tones of black, gold and red, it is a brocade kurta with a trimmed gold dupatta and red pants. It is available for Rs 3888 from Rs 6480. Shop here. How will you be sporting brocade this season? Let us know in the comments.